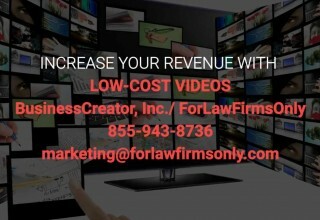 ALLENTOWN, Pa., December 18, 2017	(Newswire.com) - Edward Kundahl, president and owner of BusinessCreator Inc. and ForLawFirmsOnly, a lead generation and local search marketing agency, is pleased to announce the availability of a new low-cost, high-quality video creation service designed specifically for attorneys. Kundahl continued, “We can create three (3) styles of videos. 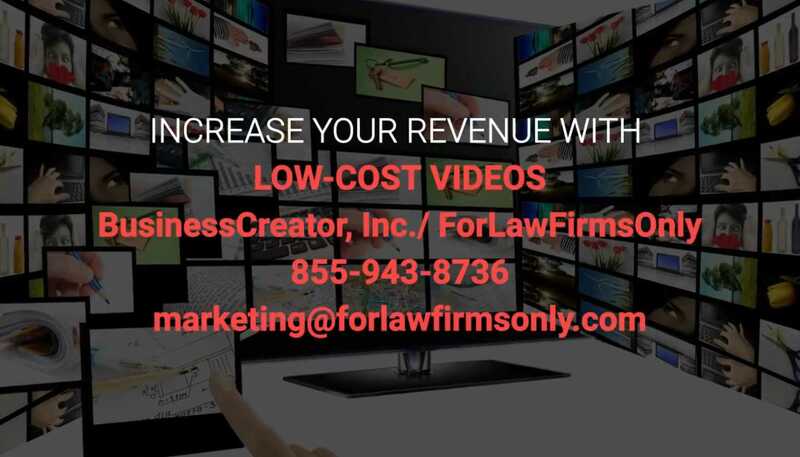 The video is completed in just two business days — a service that typically costs thousands of dollars for a professionally produced video with an on-camera spokesperson and custom graphics is far less with the new ForLawFirmsOnly service. And we can use these types of video in any of our lead generation programs. “The Your Law Firm Video is a style of video to tell the world about your law firm. The Your Law Firm video is a one-minute video that uses a professional on-camera spokesperson in a business-like setting with custom graphics, announcer voiceovers and “b-roll” (which is video and/or images of your law firm or personnel). A Your Law Firm Video supercharges your website by helping to communicate effectively with your audience. You can use the video everywhere: website, social media pages, YouTube, email marketing and landing pages. ”A News Update Video is a video style to accompany press releases, company updates, employee communications, announcements and more. The News Update video is a one-minute video that uses a professional on-camera spokesperson in a newsroom setting with news-style graphics, announcer voiceovers and “b-roll” (video/images of the company or product). Your News Update Video supercharges your website to more effectively communicate with your audience. Use the video everywhere: website, social media pages, YouTube, email marketing and landing pages. “An FAQ Video can be used to answer typical law practice questions or provide employee training, customer support or legal education. The Frequently Asked Question video is a one-minute video that uses a professional on-camera spokesperson in a business-like setting to answer your law firm’s questions. A custom graphic at the beginning of the video includes the question as well as your law firm’s branding. A custom graphic at the end of the video includes your firm’s branding, along with a call to action and contact information. You can use your video everywhere: your website, social media pages, YouTube, email marketing and landing pages. “In addition, we are running special introductory pricing. If a client signs up between Dec. 18, 2017, and Jan. 31, 2018, we will be discounting the already-low price of each style of video by 20 percent. The orders must be paid for before the Jan. 31 deadline to be eligible. In addition, anyone buying at least one video in this time frame will be eligible for the same discount throughout the first quarter of 2018, ending March 31, 2018. So, if you are happy with the video, you can buy multiple videos of the same- or different-style video,” concluded Kundahl. If you’d like to discuss how you can benefit from video marketing, then give us a call today so we can learn more about your business and exactly what type of video would best suit the needs of your firm. 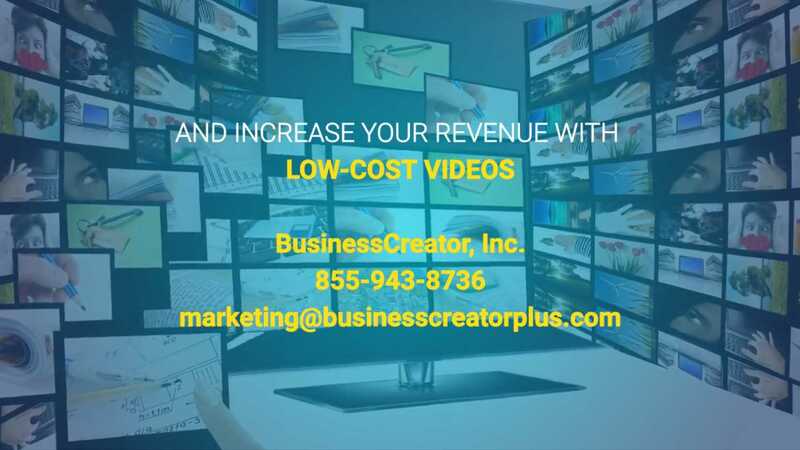 Founded in 1994, BusinessCreator Inc. has helped many businesses with local search marketing, lead generation, mobile marketing, social marketing and video marketing. The company's mission statement is "We make local businesses grow. Ask us how." 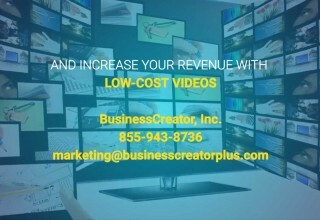 To learn more about BusinessCreator Inc., you should call 610-437-8822 or visit them online at https://www.forlawfirmsonly.com.